The Top End is a magical place, when people make the effort to get to the Northern Territory they usually want to see as much as possible. A visit to Darwin usually means exploring Darwin and her surrounds, a trip to Litchfield National Park, Kakadu National Park, Katherine Gorge and perhaps Arnhem Land and Tiwi Islands. Some are day tours from Darwin and others deserve more time. Darwin is a cosmopolitan city with great cafes and restaurants using their local produce and its many international influences. On the doorstep of Darwin you have a coast dotted with reefs and in the other direction the Outback, what a combination. There are 2 distinct season in this area, the Green or Wet Season usually from November to March and the Dry Season (locals call it “The Build Up”) which is April to October. Each season has its beauty. Some prefer to visit in the Green Season as the waterfalls are flowing, the skies are beautiful and everything looks green. If visiting at this time you have to be flexible with your tours and itineraries. At times area and roads may be closed. Early winter is a great time to visit, the humidity has tapered off and it is cooler but the falls will still be flowing. A lot of people visit the Top End between June and August, when the weather is more agreeable, so it plans to book early. When visiting Darwin and the Top End please be sure to read the signs before swimming in any water. The caution and rules are there for a reason, to make sure no one is taken by a crocodile. It is tempting, a hot day and beautiful water but it is just not a possibility! Remember, while freshwater crocodiles are quite timid, saltwater crocodiles are definitely not! Treat both with caution. The Wet or Green season is from the middle of November till the middle of April, with minimal rain outside of these months. High humidity levels and high temperatures in the wet can make the perceived temperature feel up to 10 degrees warmer. 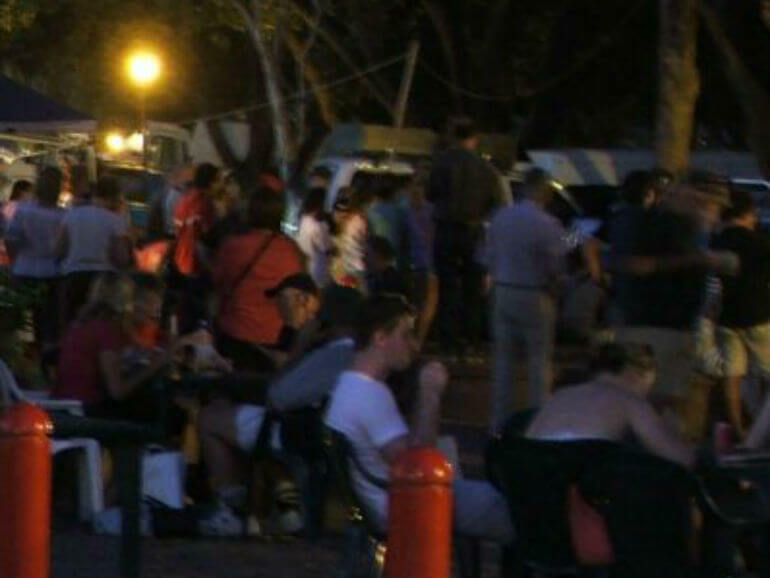 Darwin bus network services Darwin and the surrounding areas, with services running most days excluding Christmas Day and Good Friday, with special buses for the Mindil Sunset Markets, during the market season. There is a tap and ride card system and paper tickets, both can be purchase on board. Paper tickets are either a single ticket which is valid for unlimited travel for three hours from purchase and a daily ticket for unlimited travel till the end of the day the ticket was purchased. The tap and ride card is similar to a credit card and needs to only be validated as you enter the bus and is valid for either the 10 ticket flexi fares or the weekly tickets. Taxis are a convenient method for point to point travel in Darwin. Throughout Australia dialling 131 008, or in Darwin 13 TAXI (13 8294) will put you in touch with the nearest Taxi service. Taxis can also be pre-booked. It is recommended to obtain a quote for using Taxi’s for long distance travel. Held for 2 days at the Darwin Convention Centre this is a family friendly event with a focus on local produce, bush harvest and the multi-cultural influenced local cuisine. The Northern territory achieved self-government on 1st July 1978 and certainly know how to celebrate the day. There are citizenship ceremonies, flag raising and it is the one day of the year that fireworks can be bought and let off by the public. It is a party NT style. Not sure we would be keen on taking to the waters near Mindil beach in a boat made of beer cans and softdrink bottles but this is rated in the top 10 of Australian festivals. The markets are open all day and entry is by a gold can, sorry coin, donation. An agricultural, mining and multicultural show all rolled into one. 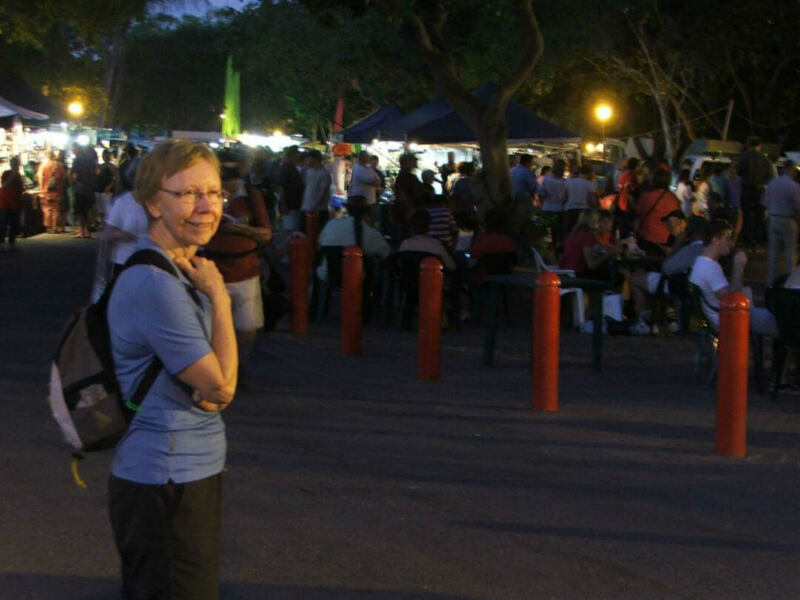 For three days the Winnellie showgrounds comes alive with an eclectic mix that’s is pure Darwin. For visitors staying at the Rydges Airport Resort or Hotel there is a free shuttle bus available use the dedicated phone located near the baggage claim area. Most of the major car rental companies have outlets located at Darwin Airport, Avis, Budget, Europcar, Hertz, Thrifty and Redspot. (Vroom Vroom Vroom) There are rental car counters in the arrivals area at the terminal. There are three separate car parking facilities at Darwin airport. The short term car park is located directly opposite the terminal building with the first 15 minutes of parking free. The long stay saver carpark is located on Pedersen Road near the general aviation precinct and there is a free shuttle bus or you can walk the 450m via a covered walkway. To catch the shuttle bus use the handset located at the car park or in the terminal building. 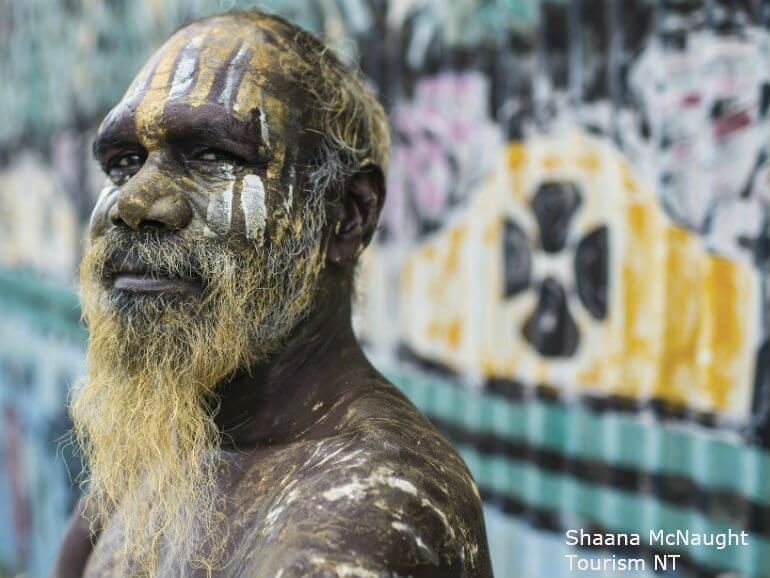 The stunning Tiwi Islands – which are colloquially known as the ‘Island of Smiles’ – are famed for the traditional lifestyles of their Indigenous occupants. The ‘Tiwi People’s’ beautiful art and crafts adorn the Islands landmarks and art galleries and attract visitors from near and far…. There’s no place that truly represents the spirit of Australia like Darwin and the Top End. With a rich Indigenous heritage, unbelievably stunning wilderness teeming with wildlife and all of the city attractions you could ever need, Darwin is a mecca for tourism and an iconic wonderland. 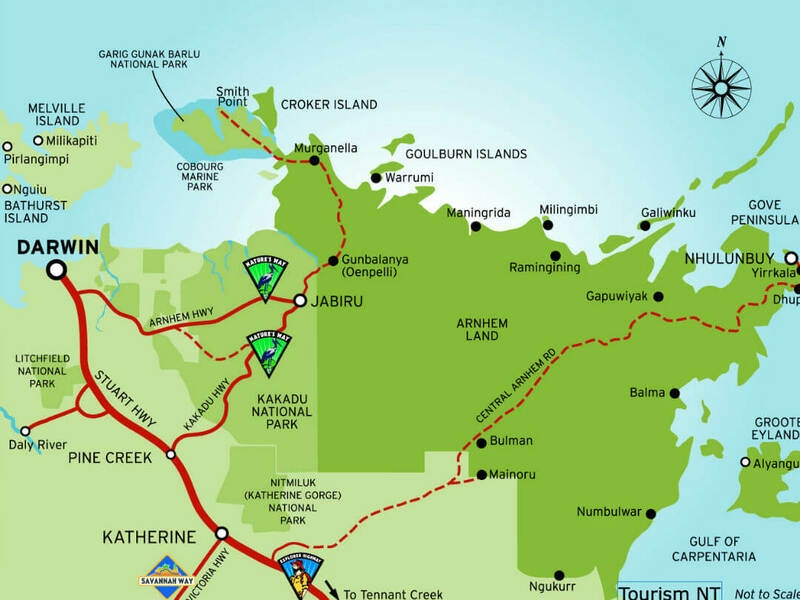 From Darwin to Kakadu (Jabiru) is 257 kilometres, so if you only have one day then to see the most take a guided tour and let a local show you around. 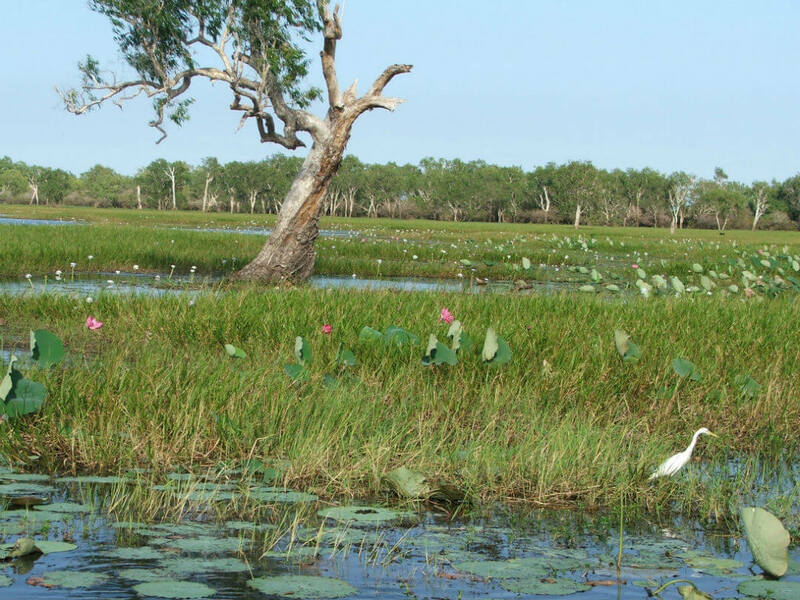 If you have more time then an extended tour is the best way to really experience Kakadu. The Wet Season or Green Season is from late November to March. 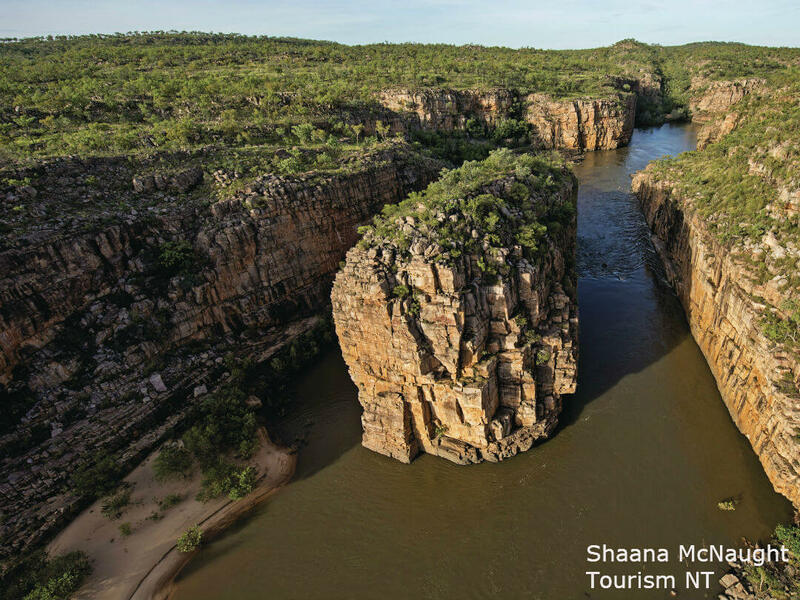 If you are visiting Kakadu in the Green Season, if possible, take a tour which includes an option of a scenic flight over the park as the water falls will be flowing and they are a magnificent sight. In the dry season a scenic flight will give you a feel of how enormous the area is. It is a great way to see the escarpment. One of the few places in the world that is world heritage listed for both it’s natural and cultural values. Jim Jim Falls are located near the eastern boundary of the national park and 28 kilometres south of Jabiru. It is a plunge waterfall on the Jim Jim Creek that descends over the Arnhem Land Escarpment. Twin Falls are a further 10 kilometres on from Jim Jim Falls. The Twin Falls keep flowing longer the Jim Jim Falls do. 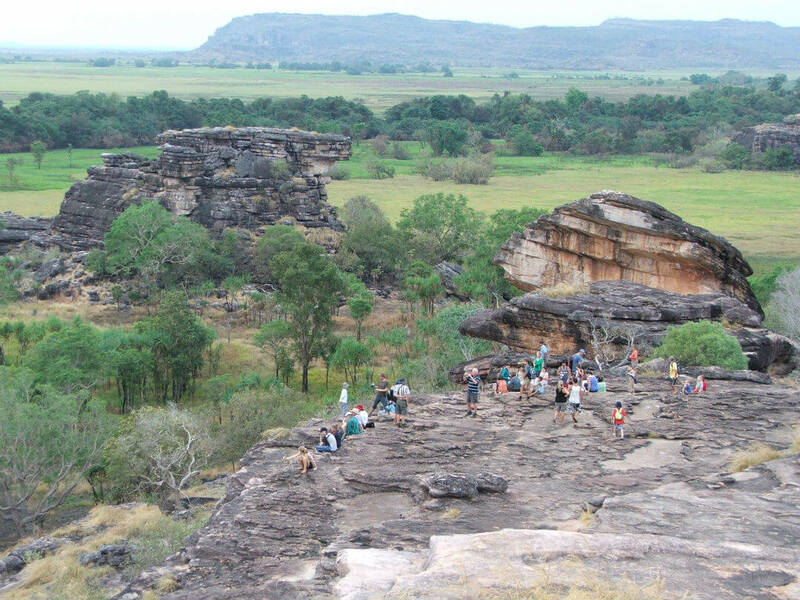 This area is one of the most popular in Kakadu National Park. 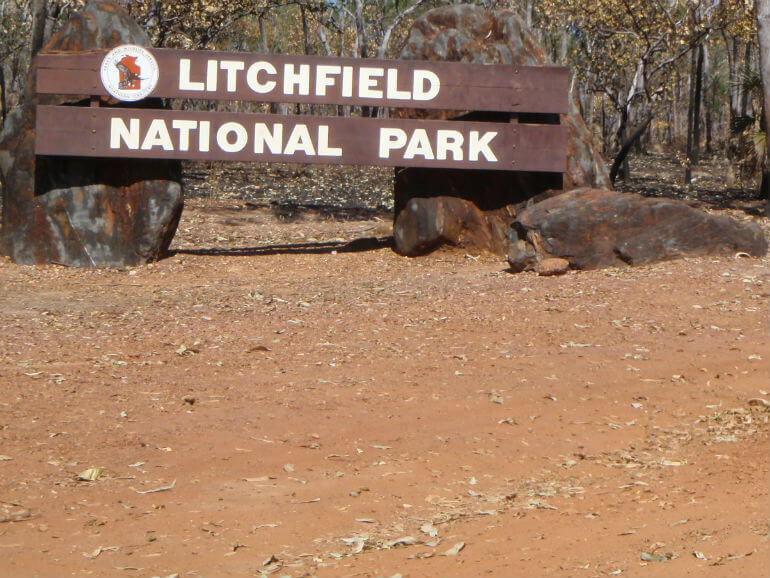 Litchfield is 100 km south-west of Darwin. It became a park in 1986. The park is generally accessible all year (sealed roads) via Batchelor, and plenty of guided tours to pick from. It is 1500 square kilometres of sandstone habitats and great waterfalls. 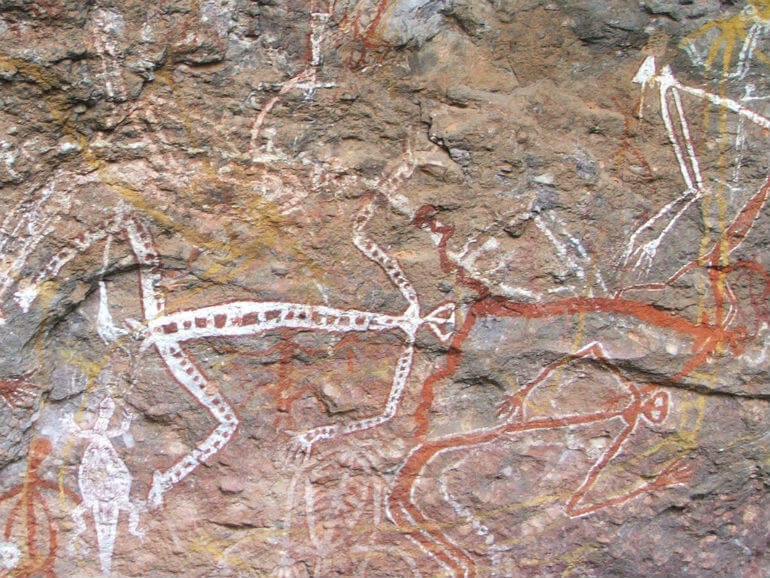 The area has its history written in its geology, Aboriginal History and European History. It is a truly fascinating park in every way. 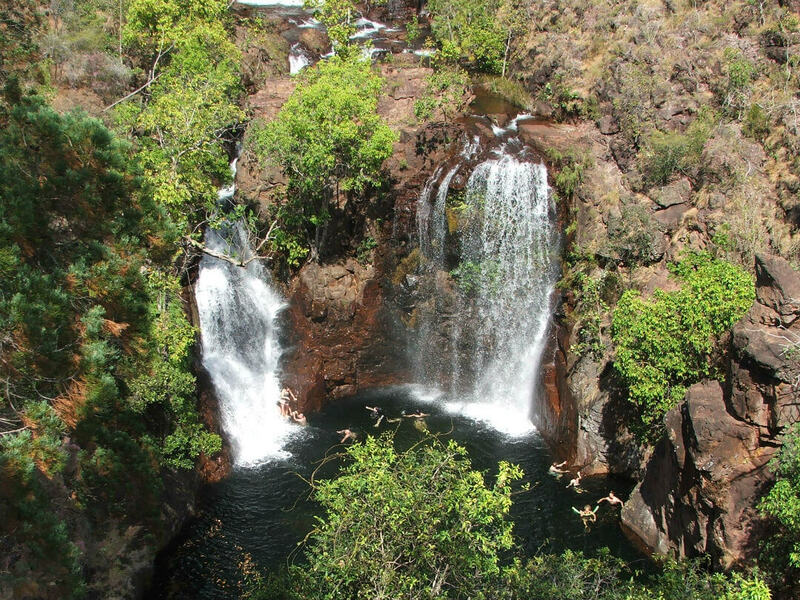 The main swimming holes in Litchfield National Park are Florence Falls, Buley Rockhole, Wangi Falls, Tolmer Falls, Walker Creek, Cascades, Tjaynera Falls and Surprise Creek Falls. There are numerous short walks you can take around these falls and the longer most challenging one being the 39 kilometer Tabletop Trek. 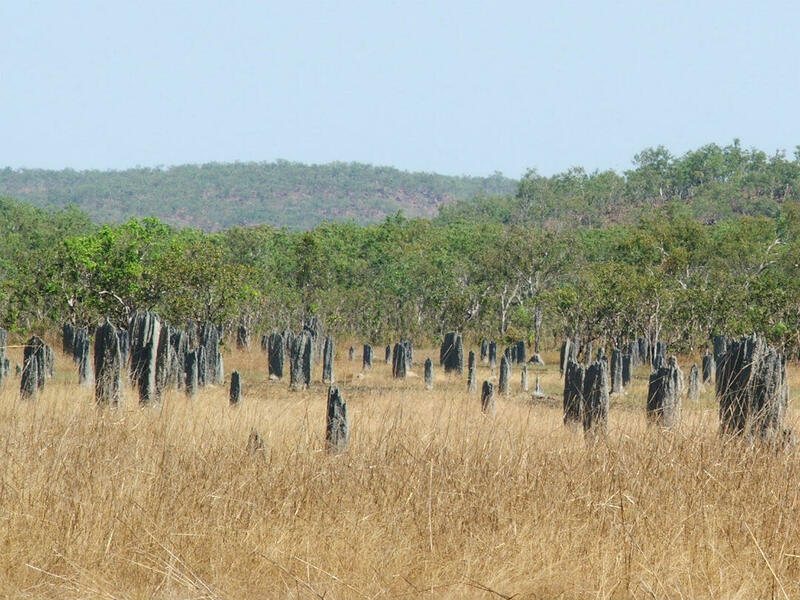 Near the town of Batchelor you will see the Magnetic Termite Mounds. Once again another great example on how wonderful nature and her animals are. Their story is a fascinating one! These mounds were built facing on a north-south axis to protect the ants within from the intense sun. These are amazing architectural feats as inside they have arches, tunnels, nursery chambers, insulation and chimneys! All built by armies of tiny termites. Many of the mounds are over 2 metres tall. Katherine Gorge (Nitmiluk) National Park,is located 30km from Katherine and is 2920 square kilometres in area. Katherine, the town, is a great base for those wanting to have more time in this area, or you could join an organised tour. Katherine Gorge is a narrow gorge, formed over time by the Katherine River flowing through the sandstone plateau creating huge cliffs on either side. 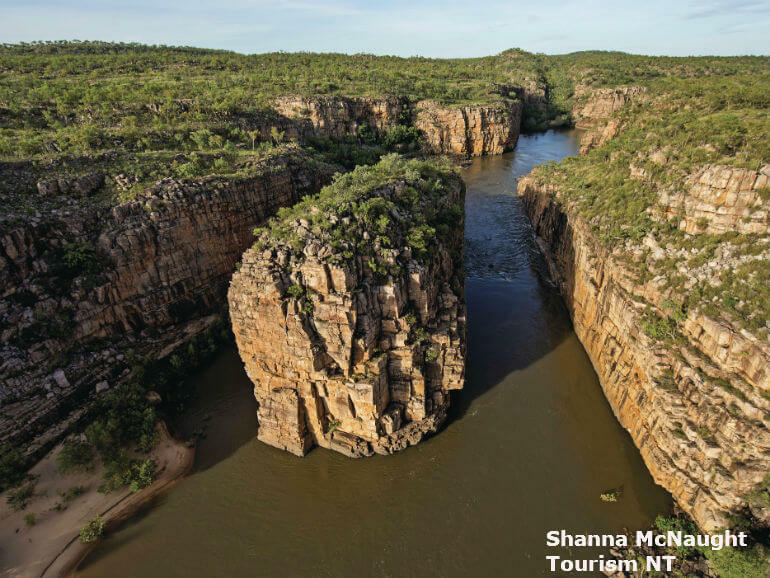 Thirteen gorges make up Katherine Gorge and in the Dry Season they are separated by rapids. Boats travel to the first gorge and then are run up onto land and the passengers walk around to the second gorge where another boat is waiting, this is repeated depending how far up you are going. Leliyn (Edith Falls) is on the western side of the park around 60 kilometres from Katherine. Edith Falls is connected to Katherine Gorge via the 66-kilometre Jatbula walk. Swimming and hiking are the most popular things to do. Both upper and lower pools are excellent swimming spots. Fresh water crocodiles are in most parts of the river and are usually timid and harmless, however in the Green Season saltwater crocodiles regularly enter when the water levels are very high. They are later removed, so please obey any warning signs. Tiwi Islands are located 80 kilometres to the north of Darwin, so the best way to visit the Islands is as part or an organised group. Although it is a big day travelling to and from the island from Darwin learning about the island from a locals perspective is an amazing experience. The island group is made up of 2 islands, Melville and Bathurst, with the tours travelling only to Bathurst Island. The Tiwi people have occupied the islands since the last ice age. Around 11,000 years ago the islands broke away from the mainland making their language and culture unique due to their isolation. 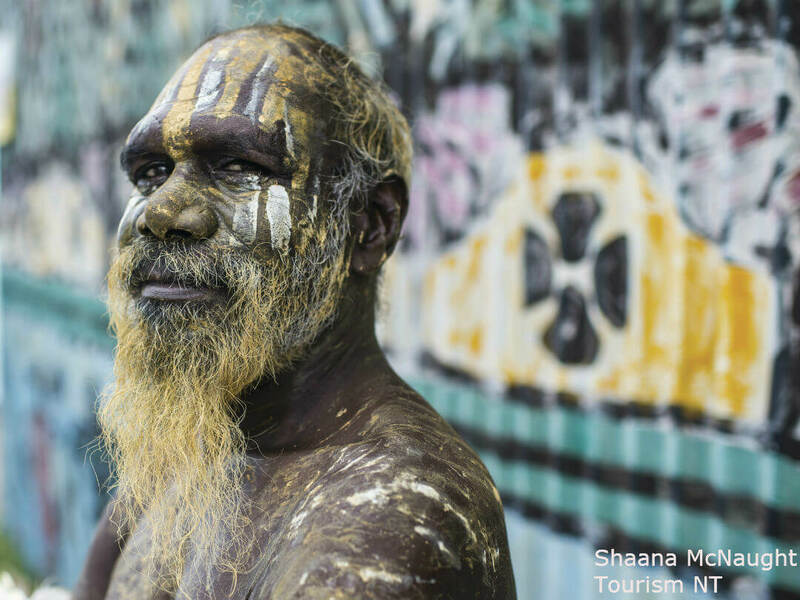 You can read more about the Tiwi Islands by clicking here. 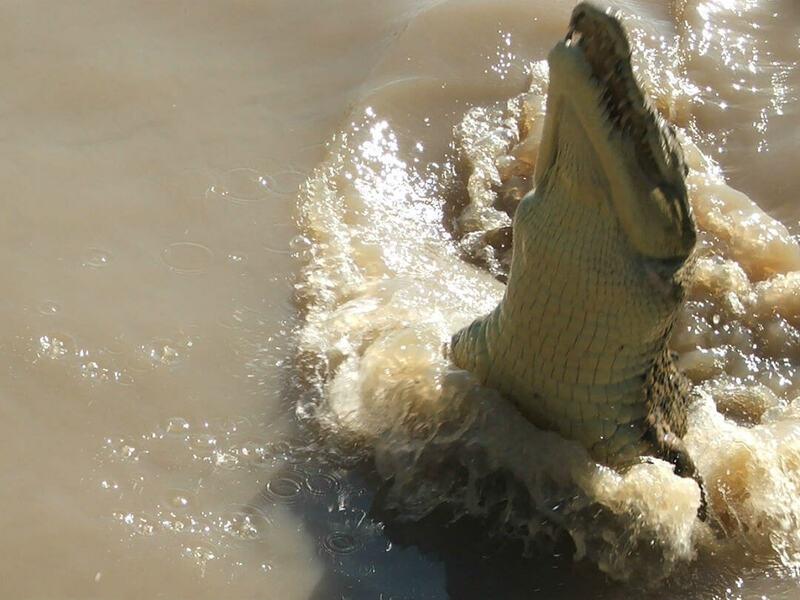 One thing you don’t want to do in Darwin is have an unexpected encounter with a crocodile, but there are two fantastic experiences that allow you to ‘safely’ get up close to a crocodile. 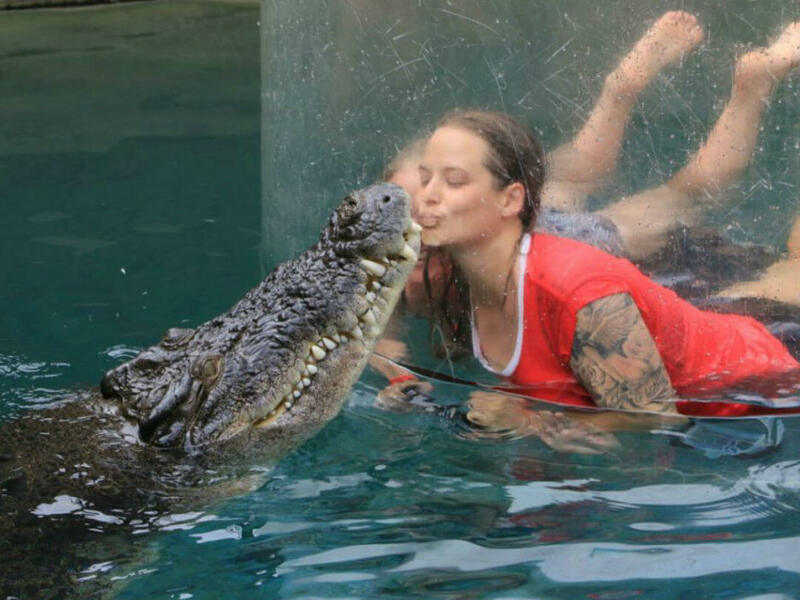 Crocosaurus Cove offer an opportunity to swim with a saltwater crocodile. Your clear ‘Cage of Death’ is lowered into the water with a saltwater and for the next 15 minutes you share the pool with them. Darwin really started to develop back in the early 1870’s when the Overland Telegraph Line was being built. They discovered alluvial gold and people caught the “gold rush fever”. 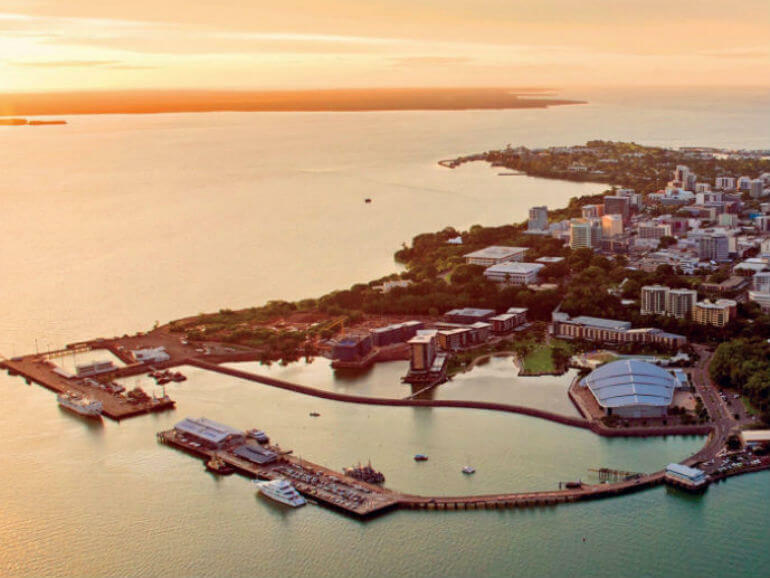 Darwin is a diverse city, rich in Indigenous culture and Asian influences due to the close proximity to Asia. The architectural feel of the city is a result of having been rebuilt twice, once after WW2 and then after Cyclone Tracey hit at Xmas in 1974. Darwin is situated on Fanny Bay, a fabulous location for taking cruises to watch the famous sunsets that occur. Darwin is on the Arafura Sea (it lies west of the Pacific Ocean between Australia and Indonesian New Guinea). There is so much to see and do in and around Darwin. Such places worthy of a visit are the Museum and Art Gallery of NT, Darwin Botanical Gardens, immerse yourself in World War 11 history at the East Point Military Museum, World War 11 oil storage tunnels (entry is on lower level Kitchener Drive), the Australian Aviation Heritage Centre, the Australian Pearling Exhibition and more. A walk around Darwin Wharf Precinct is a must. Lots there to keep you busy. 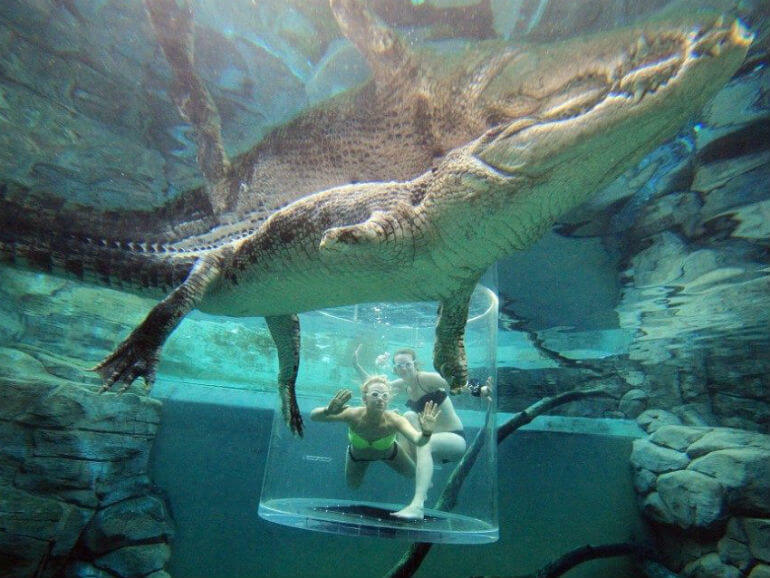 For the adventurous try swimming with the crocodiles at Crocosaurus Cove in their “Cage of Death”, or go on a cruise on the Adelaide River to see the Jumping Crocodiles, or visit Darwin Wildlife Park at Berry Springs, this park also has other animals beside crocodiles! There are many choices for a Darwin day tour to wonderful areas not too far from the city. Shhh……. It is a secret and the locals would love to keep it that way! Fogg Dam is a man-made dam (created in 1956 for the Humpty Doo Rice Project) but has a natural eco system. It is located 70 kilometres from Darwin and the conservation park is located on the Adelaide River. Fogg Dam is amazing due to the diversity of habitat and wildlife all located together. It has been described by a passionate local as a “madhouse of wildlife”! The area attracts significant numbers of birds, reptiles, mammals and marsupials. It is believed to have the greatest predator biomass known in the world. Biomass is the amount of living matter as in a unit area or volume of habitat. Fogg Dam has 230 species of birds and an international reputation among birdwatchers and biologists. Once darkness falls the dam metamorphoses into a different world dominated by snakes and rodents. Lots of Dusky Rats, hunted by water and olive pythons can be seen easily at night. In the wet season you will find saltwater crocodiles, with their big red eyes shining in the spot lights! There is nothing better than sunrise at Fogg Dam. About half an hour before sunrise, the chorus of birds begins, an unforgettable experience! There is a tour which gets you there early enough to witness it. Arnhem Land is a vast wilderness area in the northeast corner of Australia’s Northern Territory. The traditional landowners are the Yolngu people and permits are required to visit this area. If you are travelling as part of an organised tour the operator will look after the permit requirements for you. If you are visiting Kakadu National Park, once you cross East Alligator River you are in Arnhem Land and you need permits. The Mindil Beach Sunset Markets, located less than 3 kilometres from the city centre, operate on Thursdays (5-10pm) and Sundays (4-9pm) from the last Thursday in April to to the last Thursday in October. Bring your tables, chairs, rugs, eskies and choose from 60 food stalls and 130 other stalls selling craft, fashion, pampering, tours and a whole lot more. You can eat a crocodile steak (only on Thursdays) or try some unique sushi with fillings such as kangaroo, crocodile, barramundi, and sweet potato!